Let’s do a quick run through of important periods in the Bible’s long history of composition and translation. Or just check out this incredibly exciting flowchart. 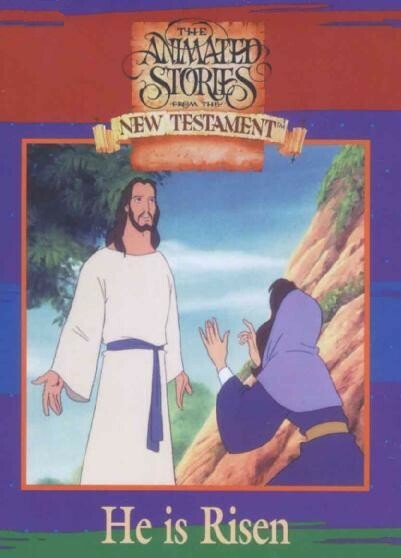 New Testament: this infographic as well as this timeline. Also check out these interactive timelines focusing on more specific areas of biblical history. In its earliest stages, the books of the Hebrew Bible were individually written and copied onto papyrus, paperlike sheets made from the papyrus plant, and then rolled around a small wooden stick to form a scroll. The manufacture of papyrus scrolls probably originated among the Egyptians in 3000 BCE. The Bible makes references to Papyrus a number of times (e.g. Isa. 18:2; Job 8:11, 9:26). Over the centuries these scrolls were slowly accumulated among the Hebrew communities until an anthology of scripture is largely recognized by the second century BCE. Due to its better durability, papyrus was gradually replaced by parchment beginning in 200 BCE, formed from the tanned hides of calves. 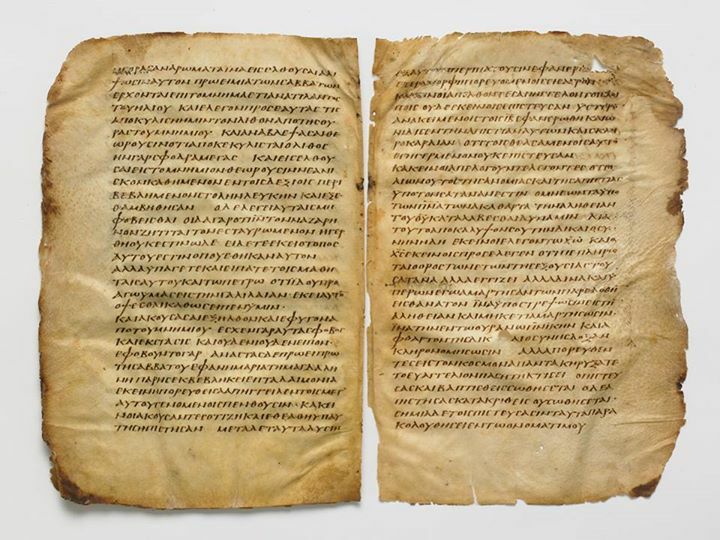 The change wasn’t sudden as shown in the Dead Sea manuscripts (3rd century BCE–1st century CE), our earliest surviving manuscripts of the Hebrew Bible which were written on both papyrus and parchment. 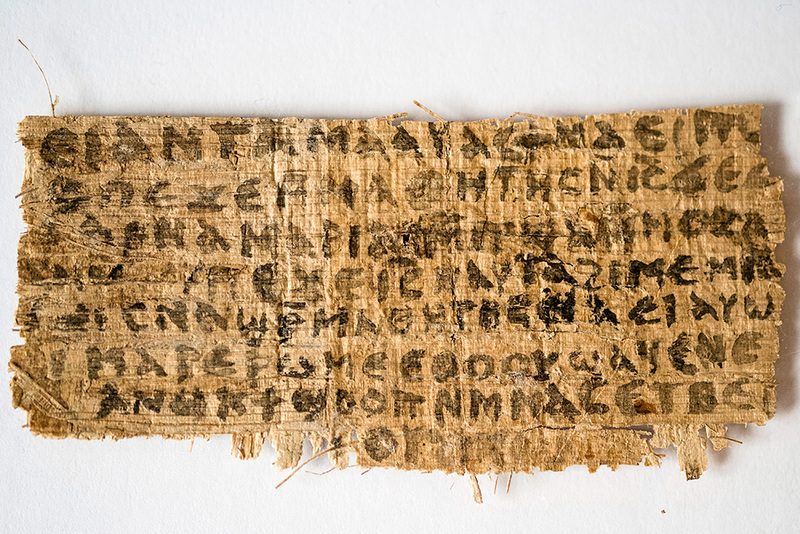 In about the 4th century CE, parchment had pretty much displaced papyrus, which is why the vast majority of ancient New Testament manuscripts that we have today come to us on this material. Creation. Gen 1:1-2:3 (P) and Gen 2:4b-25 (J). Genealogy from Adam. Gen 4:17-26 (J) and 5:1-28,30-32 (Book of Records). The Flood (click here for an interactive view). Gen 6:5-8; 7:1-5, 7, 10, 12, 16b-20, 22-23; 8:2b-3a, 6, 8-12, 13b, 20-22 (J) and 6:9-22; 7:8-9, 11, 13-16a, 21, 24; 8:1 – 2a, 3b – 5, 7, 13a, 14 – 19; 9:1- 17 (P). Genealogy from Shem. Gen 10:21-31 (J and P) and 11:10-2 (Book of Records). Abraham’s migration. Gen 12:1-43 (J) and 12:4b – 5 (P). Abraham and Lot separate. Gen 13 : 5 , 7 – 11a, 12b – 14 (J) and 13:6, 11b – 12 a (P). The Abrahamic covenant. Gen 15 (J, E, and R) and 17 (P). Whether you see the Bible as the word of God or not, one cannot ignore the fact that it has human fingerprints all over it. After all, it didn’t fall from heaven in the format commonly found today, as convenient as that would have been. It is worth emphasizing again then that the Bible is not a single book but rather many books; an anthology, each with its own author, each with its own historical and theological context. What are the contents of the Bible?